The story of Daniel in the lions’ den is taught as one of the greatest single acts of courage found in the Old Testament. But how Daniel lived his life that got him thrown in the den is the REAL story here. From BEGINNING to END, he lived undaunted. The story of Daniel in the lions’ den is taught as one of the greatest single acts of courage found in the Old Testament. I dare you to find a children’s curriculum that doesn’t include at least some reference to this story. When I taught kids through the decades, I always had pictures of Daniel in a cave, surrounded by lions whose mouths were shut tight as the angel stood watch. We speak of Daniel’s courage IN the den, but think about this: Aside from when Daniel explains to the king why he survived, there isn’t a single verse describing his experience in the den. Daniel is the author of this account, and under the Spirit’s inspiration, he chose to include this incident as simply a FOOTNOTE at the end of his life, VOID of details. The emphasis is on his convictions prior to the den and the resulting glory given to God by the king when it was over. How Daniel lived his life that got him thrown in the den is the real story here. From BEGINNING to END, he lived undaunted. He both survived and thrived in the middle of a pagan culture holding to his commitment, grounded in confidence, and compelled by conviction. 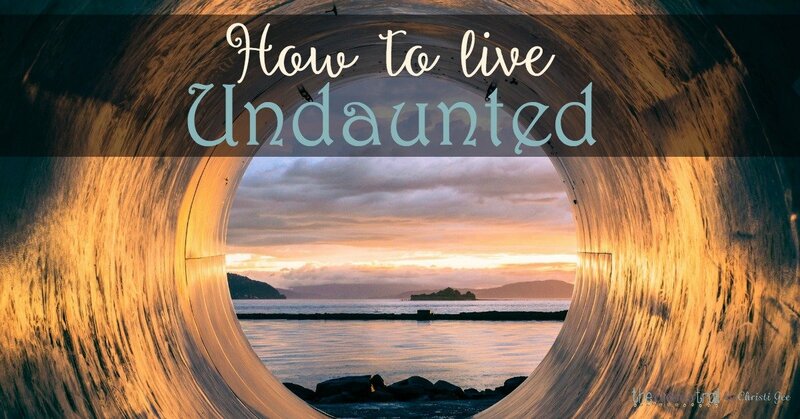 Daniel’s story could easily be our experience, so here are a few lessons in living a life undaunted. Open the Scriptures and follow along. From the beginning of chapter one, we see Daniel resolving to solely honor the only sovereign worthy of his worship. Ripped from his home and taken into Babylonian captivity as a young teen, he was placed in the king’s court to be groomed for the king’s service. He was served food sacrificed to idols, and eating that food would have been synonymous with honoring the false gods. Daniel and three of his friends refused to participate and it all worked out: “Now God granted favor …” (1:9). His decision to continue to pray in his EIGHTIES, despite the king’s edict, was propelled by the same conviction that caused him to refuse the idol’s food as a TEEN. He was committed to honoring God above all else. Daniel knew it was God who granted favor and God who would sustain him if favor was rescinded. This commitment produced a confidence that held fast despite captivity. Other Jewish captives compromised (1:13) but not Daniel and his three friends. As young teens, they were powerless, and still unafraid of the powerful. Because their confidence was grounded in God’s sovereignty, they did not order their actions in order to gain favor. They didn’t compromise their beliefs just to please a politician. The second sentence he penned about captivity declared it was the Lord who allowed it to happen, indicating Daniel knew God was in control of who was in control. And at the time he refused to refuse to pray, King Darius was planning to promote Daniel over his entire kingdom (6:3). This didn’t factor in for a second in his decision. His place in the EMPIRE never trumped his place in the KINGDOM. He was convinced beyond a doubt that God was sovereign over all. This conviction compelled him to both take a STAND and continue to KNEEL. He was never beholden to earthly power and did not fear losing it. So long before the stone was ever rolled over the den, Daniel’s convictions were sealed in the ROCK. We all read the end of Daniel 6 with a little yearning. The hero held to his faith and God held the hero. The story was passed down through the ages and held up as an example of undaunted courage. 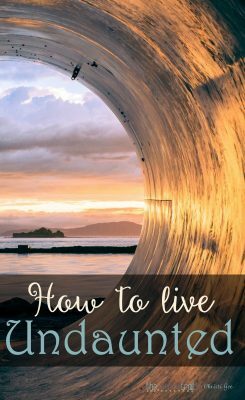 We likely don’t wish for the near-death experience, but we do want to do something worth experiencing with our lives. We want to see God come through with a display of power and we want to display courage worthy of a story. But Daniel’s real story is the courage lived out in his commitment, confidence, and convictions. His life was so consistent with his beliefs that those who sought to destroy him could find nothing to target but his faith. We dare to live the ordinary, mundane, daily life of integrity. We dare to start over today when we failed yesterday. We dare to hold fast to hope when all around seems hopeless. Undaunted courage is rarely seen and observed by others. It’s the recurring commitment to honor God no.matter.what. It’s the routine choice to believe He’s there, even when you can’t see Him working. It’s the daily decision to line up your actions up with your convictions and fall again to your knees when it still feels like your prayers are hitting the ceiling. long before we encounter a den of lions. 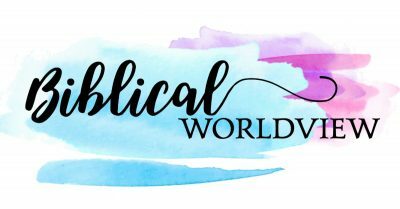 Grow your biblical worldview standing on the Rock of Ages! Making Life & Words Count! 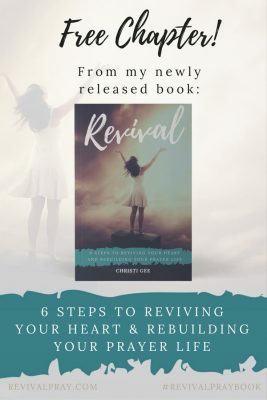 Click for your FREE chapter! This site occasionally uses affiliate links, which means (at no cost to you), if you purchase after clicking through on the link I provide, I earn a commission. I only pass along opportunities I have personally vetted and believe in fully. Thank you for supporting this site. 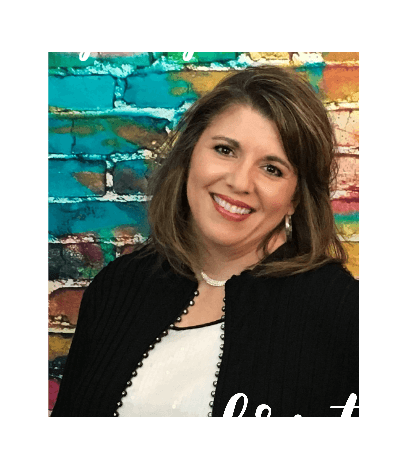 Christi Gee is a participant in the Amazon Services LLC Associates Program, an affiliate advertising program designed to provide a means for sites to earn advertising fees by advertising and linking to amazon.com.